This is the 11th annual report on the performance of portfolio companies, a group of large, private equity owned UK businesses that met defined criteria at the time of acquisition. Its publication is one of the steps adopted by the private equity industry following the publication of Guidelines by Sir David Walker to improve transparency and disclosure, under the oversight of the Private Equity Reporting Group (PERG). The BVCA produces its own in-house research as well as commissioning outside, independent bodies to carry out topical research to help our understanding of the impact of private equity and venture capital, and how policy can best help the industry to support jobs and growth. We publish our output – which ranges from academic and empirical studies to fund performance analyses to policy discussion papers and much more – through a variety of methods, including our research reports, which are available below to download. The BVCA Venture Capital Committee has conducted a study into the constitution and processes of Investment Committees. The aim was to demystify this important body and shine a light on how different firms operate. It also makes 12 recommendations, or things to consider, for improving the investment committee process. The BVCA polled 15 senior fund managers and 16 investors to get their opinion on some of the most important issues for first-time funds. The results of the survey presented in this report helps shed light on what it takes to launch your first fund, containing crucial insights and advice for any new manager. The BVCA and Level 20 have published the first report on the number of women working in the private equity industry. This research provides a robust and valuable data set that highlights the lack of gender diversity in senior investment roles. The pipeline, however, is promising and we will continue to work with the industry to improve on these results over the coming years. This report, published by the BVCA and PwC, provides an historic analysis of private equity-backed IPOs in the UK between 1 January 2009 and 31 December 2017. It looks at a number of metrics including the use of proceeds, pricing and performance to build a picture of the IPO market and the key trends with the market. 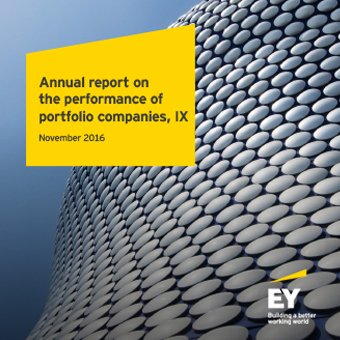 EY, at the request of the BVCA and the Private Equity Reporting Group, has published the tenth annual report on the performance of the largest private equity-backed companies in 2016 as recommended by the Walker Guidelines for Disclosure and Transparency in Private Equity. The BVCA, in conjunction with Oxford Economics, has released comprehensive research on the impact of venture capital on the UK economy. 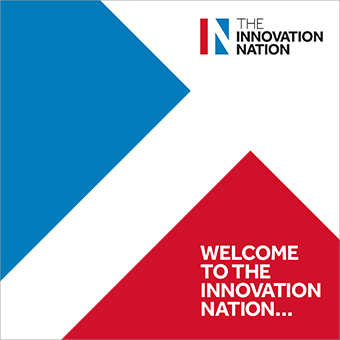 The research shows that the £4.1bn invested by VC and angel investors during 2015 has a massive impact on business start-ups, job creation and overall contribution to the UK’s high-growth innovation economy. Diversity VC in partnership with the BVCA has published the first piece of research analysis into gender diversity in the UK’s venture capital industry, profiling more than 1,500 investment professionals from 160 UK firms. 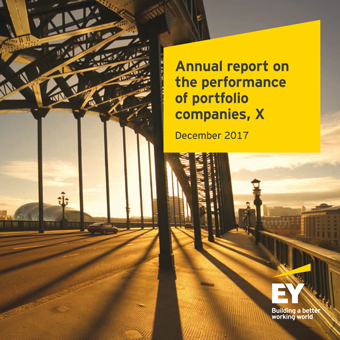 EY, at the request of the BVCA and the Private Equity Reporting Group, has published the ninth annual report on the performance of the largest private equity-backed companies in 2015 as recommended by the Walker Guidelines for Disclosure and Transparency in Private Equity. Commissioned by the BVCA, Deloitte and NorthEdge Capital, this study examines the role private equity can play in unlocking the potential of the North, and has identified 1,187 companies in the North of England as potential targets for private equity investment. The BVCA, in association with EY, has published the eighth annual report on the performance of the largest private equity-backed companies in 2014 as recommended by the Walker Guidelines for Disclosure and Transparency in Private Equity. This BVCA report looks at how and why investors invest in private equity. It examines how the industry adds value to the companies it invests in, and what this means for investors. The BVCA, in association with Montana Capital Partners has published a report into Risk in Private Equity, which attempts to explore and analyse the different types of risk that can affect PE investments. The BVCA, in association with EY, has published the seventh annual report on the performance of the largest private equity-backed companies in 2013 as recommended by the Walker Guidelines for Disclosure and Transparency in Private Equity. Venture capital has undergone tremendous change over the last 15 years and today is evolving faster than ever. VC Evolved examines the forces shaping this change and considers the implications for our industry. A follow up to the 2013 BVCA research note which applies the Public Market Equivalent (PME) approach to private equity and venture capital performance data. This measure represents the level of returns an investor could have achieved if they had bought or sold its holdings in the public market. Our study shows a significant private equity outperformance.